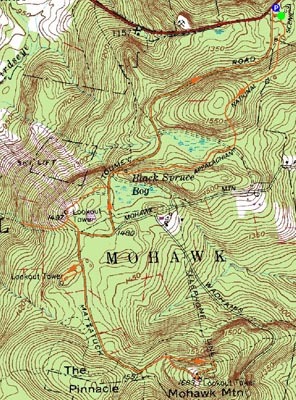 After hiking Bear Mountain in single digit temperatures, I arrived at the Mohawk Trail trailhead with a reading of around 16 degrees. I almost went the wrong way from the start - there were blue blazes in all directions it seemed! After pacing around, I found the trailhead. The first part of the trail was rather boring - flat, small growth, etc. The most interesting part of the first segment was the viewpoint at the end of it - looking northwest. 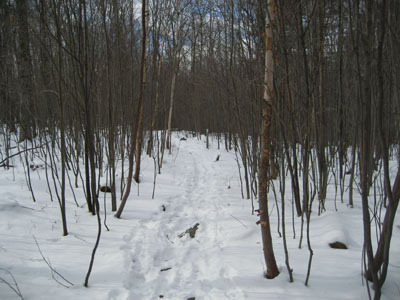 The trail then continued southwest along the summit of the alpine ski area. From there, I had some confusion. 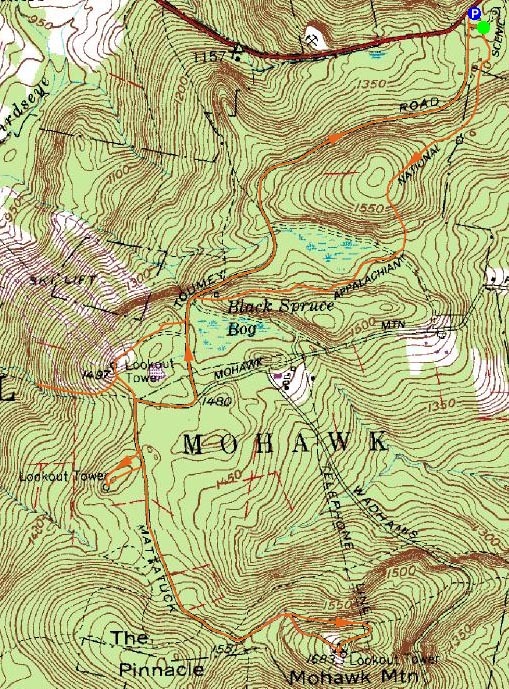 There was a sign with an arrow pointing east stating 'Mattatuck Trail" and another sign with arrows pointing at where I came from and what was straight in front of me, stating "Mohawk Trail." In addition, all three ways had blue blazes. Thinking I needed to go south, I continued on the Mohawk Trail, descending a few hundred vertical feet before concluding that I was definitely going the wrong way. With about a dozen minutes lost in this stupid jaunt, I followed the other blue blazes, which led back to the road, then off it again to a place labelled on maps as "Lookout Tower" - I bet it was a pretty nice one in its day, too. Now though, it's basically a hollow rock silo with no stairs or platform. Ah well. A blue blazed trail continued south of it, however I noticed there were not footprints on it. Not wanting another repeat of my previous folly, I decided to make like the French Military and retreat to the road. The rest of the ascent was pretty flat (in fact, with the exception of my excursion down the west face of the mountain, the whole hike was pretty darned gradual). Upon reaching an abandoned summit area, I was greeted by two lookout towers - one missing its first flight of stairs and the other surrounded by fencing. 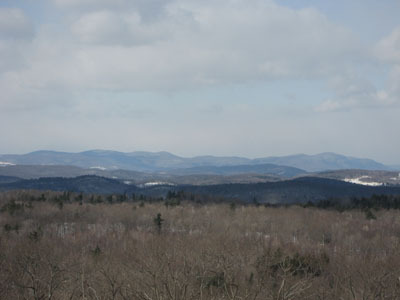 Without the aid of a lookout tower, the views were still fairly strong to the south and northwest. I road marched the entire way back, in slightly warmer but much windier conditions. 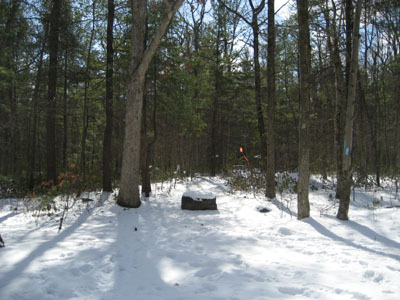 Directions to trailhead: Take Route 4 East from the Route 43 junction. Parking is available at the top of the pass on the right side of the road.